Wednesday, 2 January 2019, 10:45a.m. 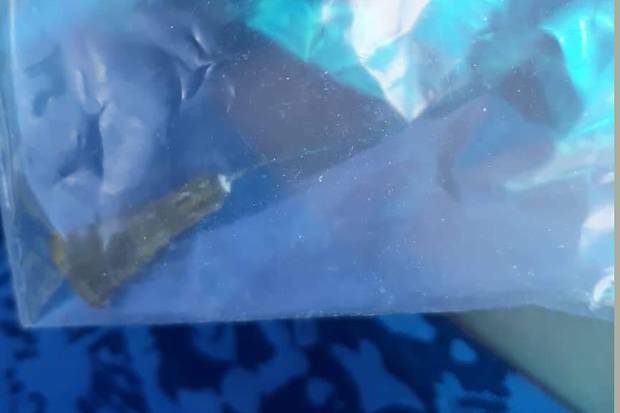 A Tauranga grandmother is warning families to ensure their children are wearing shoes after her granddaughter stood on a hypodermic needle at a popular Tauranga family park. Like many other families, Linda Valentine was enjoying a sunny Sunday afternoon at Memorial Park with her family. Valentine and her granddaughters Allarose, 7, and Sadie, 6, had been in the carpark on the Devonport Rd side of the park, walking towards the memorial pools when Allarose stood on the needle. "She just screamed and [the children's mother] bent down to look at her foot then looked on the grass to see what had hurt her and found the needle." The family went into the pools, where staff found a bag for the needle and checked on Allarose, who was "not crying but upset". Valentine then took Allarose to the doctors where they examined her foot and explained the needle was probably old. The advantage of this was there was little chance of Allarose contracting anything as most organisms did not live very long, she said. However, it will be another month before Allarose would be tested again for tetanus and the risk of Hepatitis B was also a concern. "It's pretty yuck. I don't even want to take the kids there again but what are the chances of that happening again? It could have been anyone." Valentine said the needle could have come from an out-of-town drug user "or anyone really". Valentine said the incident left her granddaughter shaken and her upset and angry. She spoke to the Bay of Plenty Times to let others know to be wary. "There are lots and lots and lots of kids around there. After it happened I said to about 10 families 'put shoes on your kids' feet'." Valentine reported the incident to theTauranga City Council on Monday which told her a team would be sent right away to clean up and check for other needles. Council acting parks and reserves manager Megan Cleverley confirmed the report and that the council's litter contractor had been asked to check the area. Cleverley said the council was not aware of any other incidents involving hypodermic needles left at parks. "If they are found by staff or contractors, they are disposed of following the correct procedures." Cleverley said the council had no way of knowing who left the needle at the park but said such an incident was "a very rare occurrence". In March 2018, 17-month-old Aurora Archer has been playing at Pāpāmoa's Motiti Reserve when her mother noticed a dirty needle sticking out of her little girls' arm. Dr Derek Sage said at the time he had never seen a similar case in Tauranga in all his years at Tauranga Hospital.